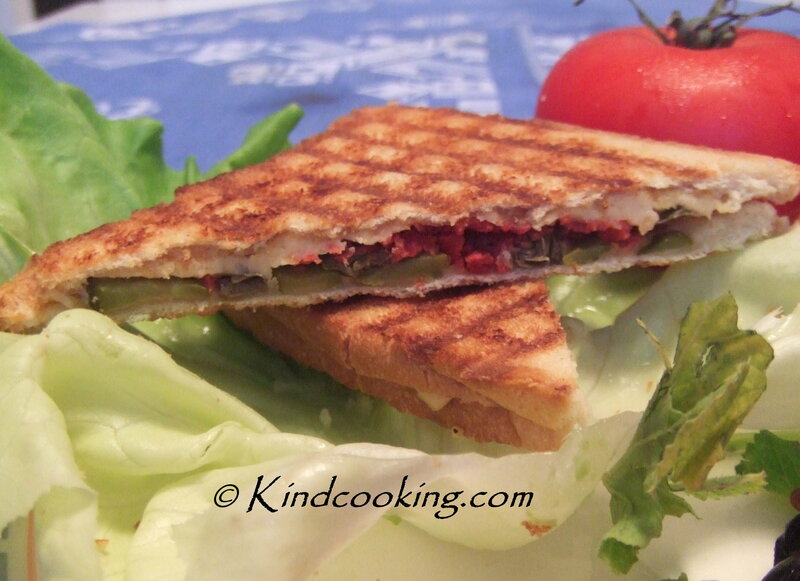 Most countries have a version of a grilled sandwich. grilled sandwich Italian style so I decided to create a vegan version. or ham type) and vegan cheese available in most grocery stores. You don’t need a fancy grilling machine. I make it most of the time with a heavy pan to press the sandwich down. Lightly butter the bread slices on one side all the way to the edges. Spread mustard on the other side, then place the slices of vegie meat. Thinly slice the gerkins and capers and place on top of the vegie meat making sure that they are spread out evenly. Sprinkle the Daiya cheese or other vegan cheese of your choice. Press the top with a heavy pan to make sure that all layers are melded together and the top and bottom are crisp. 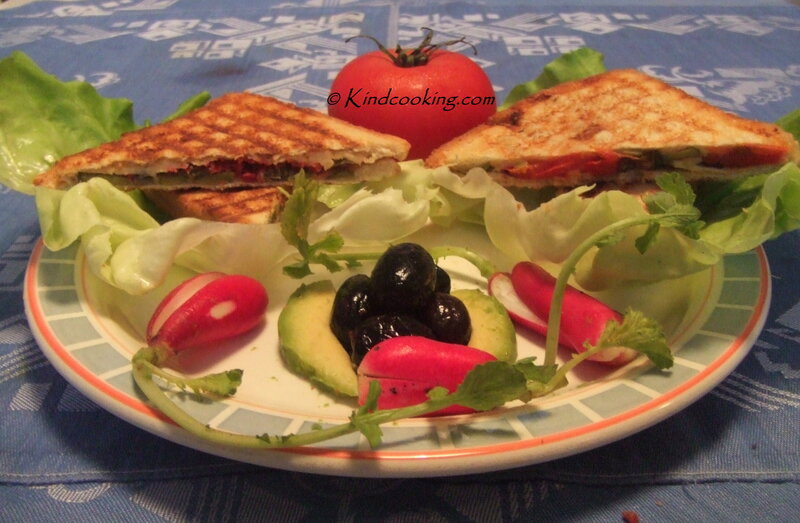 Serve immediately with a nice salad or an assortment of raw vegetables, some sliced avocado etc. 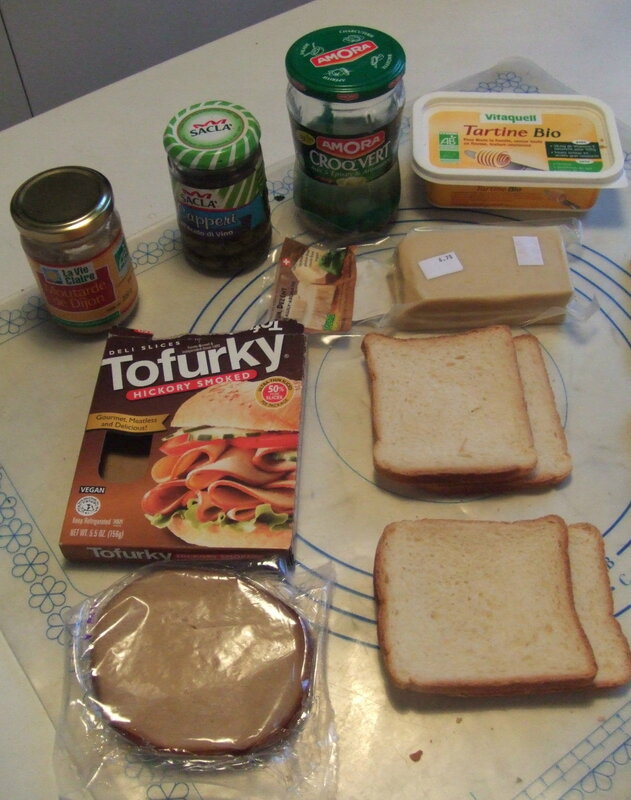 Note: this is a thin sandwich, the type you will find in France and Italy not the gooey thick one that is usually served in the US.